You may be familiar with the Cleveland Way as it winds its way across the top of Greenhow Bank and you might have been tempted off your route at Burton Howe to head over towards Baysdale. You may have stopped to take in the view from the mound with the boundary stone stuck on top and perhaps, whilst eating your sandwiches or resting your legs, you might have moved a few stones around or brought up another couple from the track to add to the heap. What harm could there be in that? Piles of loose stones can be the remains of something built in prehistory. During the Bronze Age (3-4,000 years ago) it was the custom to bury people in mounds called barrows (sometimes marked as tumuli or tumulus and labelled in gothic lettering on maps). Barrows were often built from stones and located on hill tops or ridges of higher land. The dead may have been buried with pots or flint tools and disturbing these structures also disturbs the archaeological story contained inside. Archaeologists could have used this varied information to build up a picture of what happened in the past, much as a detective would today except there is no one alive from whom to take a statement and corroborate the evidence. Barrows are located in prominent places in the landscape. They can be found on the skyline or forming a focal point for a modern path or they may have had trees planted on them in the past to highlight a hill or a view. Historically they have often been used as route markers by pedlars or when moving animals over long distances in otherwise featureless terrain, or to mark a property boundary by inserting a boundary stone into the mound. They are often important features in the landscape even today, because of their visibility, or maybe because they have a local legend associated with them. 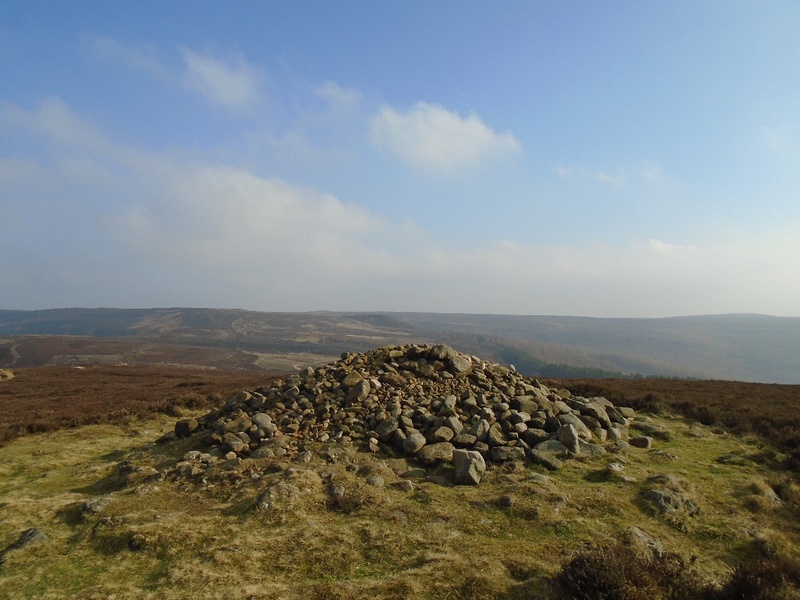 As a very numerous and distinctive feature of the North York Moors landscape, barrows constitute a significant proportion (about 65%) of the 842 protected sites or Scheduled Monuments, within the National Park. Cairns, simply piles of stone, are often built today by walkers to help mark a route which is difficult to see on the ground and this is especially true in the North York Moors where there are few prominent landscape features such as trees or hilltops, where fog and bad weather can divert the walker from the right route or where the heather is deep and makes the path hard to locate. Or where the top of a hill has a great view but it’s often windy so a wind break has gradually been built up to provide welcome shelter. Or maybe there’s a place people always stop for a breather after climbing a steep hill and look down, perhaps on their home village. 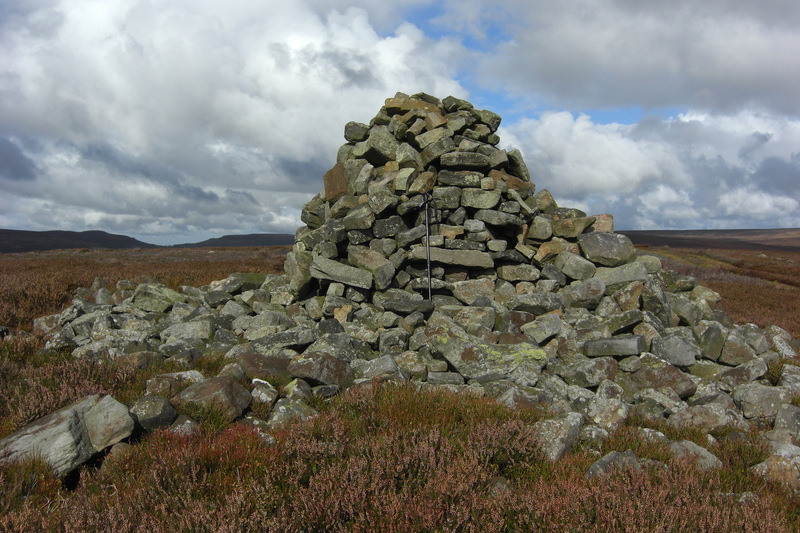 A handy nearby pile of loose stone can easily be used as a quarry for creating a new heap or cairn in a better place and it may become the custom to add a stone or two to a modern cairn when anyone passes, or even to deliberately take up another stone each time a place is visited. In this way, cairns are created, and enlarged and become important markers. The problem with building cairns today is that by using stones from existing archaeological features like barrows the information contained within them is disturbed, the clues that archaeologists use to build up a picture of what happened in the past are destroyed – how the structure was built and used, how it was developed for different burials, perhaps over several generations, or what objects were buried with the dead. This does not mean that every archaeological feature will one day be excavated by archaeologists but it does mean that the features are so important that they deserve to be left undisturbed for future generations and new techniques and understanding: if something 4,000 years old is disturbed, that unique information is lost for ever. Many of these barrows have been recognised as being nationally important and so are protected as Scheduled Monuments. Some artefacts moved during modern cairn building will not be recognised as such and simply be thrown away, including small fragments of bone which might have revealed a lot about the person buried there. Moving stones may disturb post holes or remains of other structures. Inserting a commemorative plaque adds a modern intrusion, or it may be fixed to a stone with prehistoric carvings or which is part of a prehistoric feature. Modern graffiti are sometimes carved into the stones on a prehistoric monument. 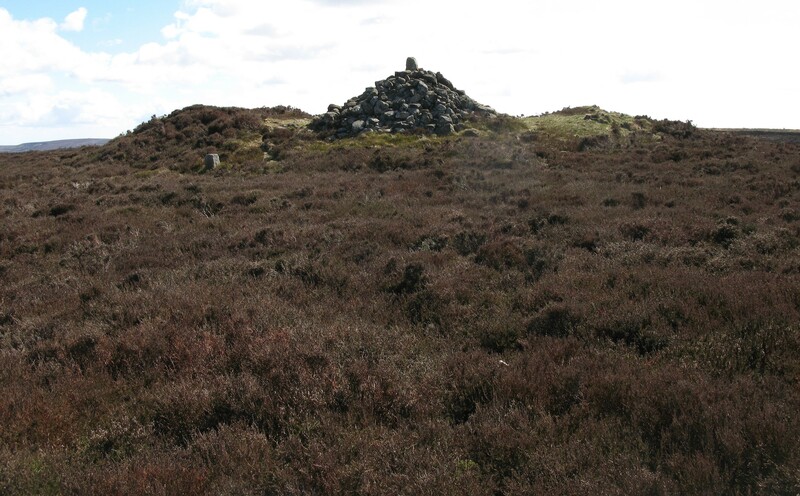 Sometimes gamekeepers use archaeological features for siting grouse grit stations; if the ground is not disturbed and no stones are moved this might not start as a problem, but then if passing walkers are tempted to start building a cairn on the same spot a problem forms. Beyond the obvious problems, these activities can have other impacts. Making a feature more prominent means that more visitors may be attracted to it, creating deepening erosion by following a single line to the summit. In some cases a new cairn might even bury or obscure the historic monument altogether. 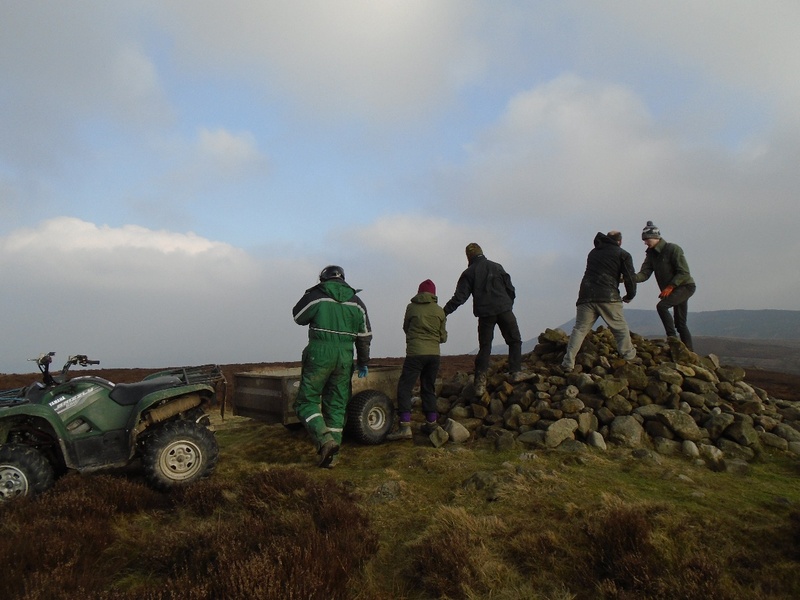 To put things right, work is under way as part of the National Park Authority’s Monument Management Scheme (MMS) which is funded by Historic England. This involves a group of volunteers monitoring the condition of barrows with identified walkers’ cairns, and carrying out remedial work to repair the worst damage. The first of these repair projects has recently transformed a round barrow next to the Cleveland Way on Live Moor. 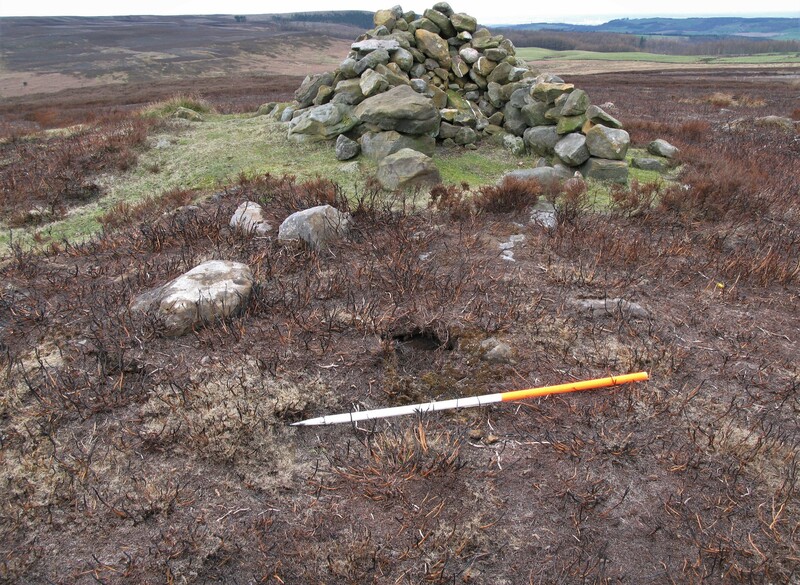 The barrow will be monitored to ensure a modern cairn appendage doesn’t re-appear. You can find out if a feature or site is protected by visiting the Historic England website where you can search by a name or on a map. So the next time you find a nice sheltered spot for a rest on top of a hill, enjoy the view and your lunch and by leaving the site as you found it you could be helping to preserve an important feature for another 4,000 years! 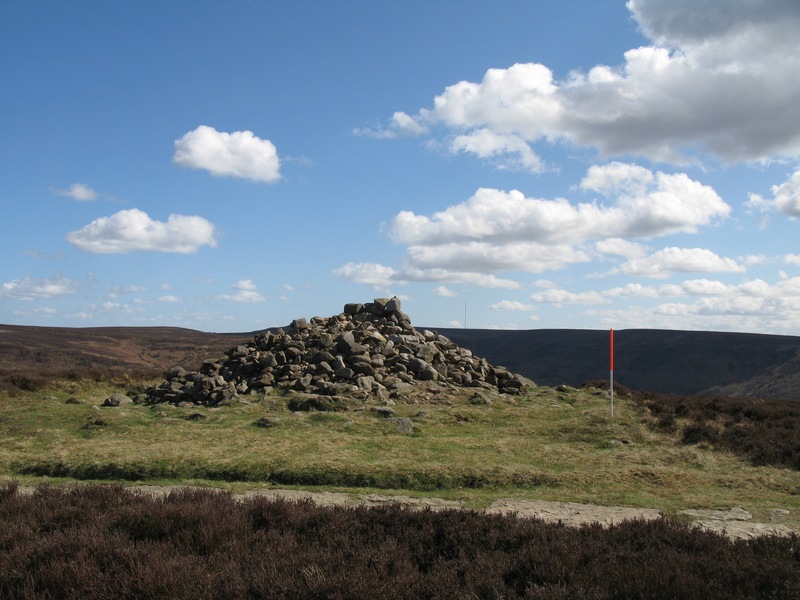 This entry was posted in North York Moors and tagged Apprentices, Archaeology, English Heritage, Monument Management Scheme, Prehistoric, Scheduled Monument by North York Moors National Park. Bookmark the permalink. And perhaps you will not be leaving your mark for future generations to examine and study. 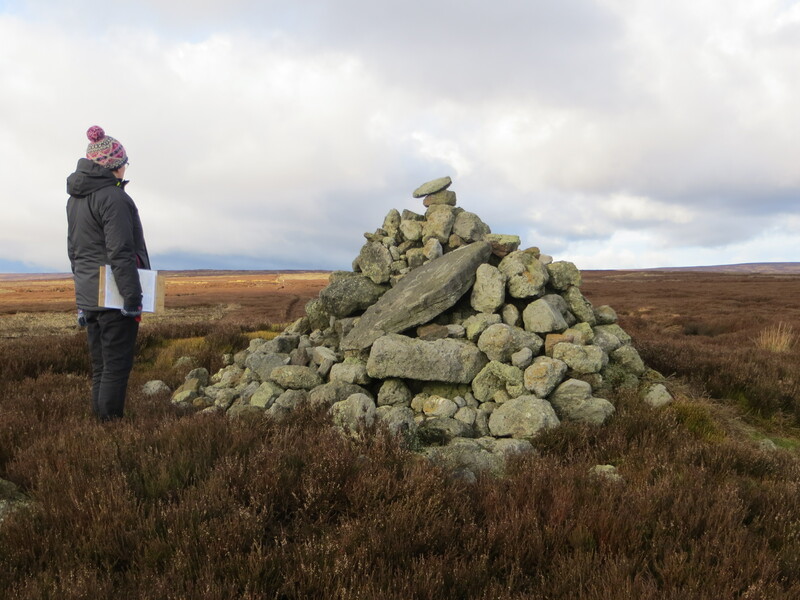 Perhaps the NPA could place a discreet sign or marker of some sort close to archaeological sites, so that walkers etc would know whether it is an ancient site or a modern cairn. I appreciate that identifying such sites could also lead to deliberate ‘grave robbing’ but at least responsible people would be alerted.